Steven Kasher Gallery is proud to present Refraction: New Photography of Africa and its Diaspora. Refraction presents a generation of photographic artists of African descent born in the 1970s, 1980s and 1990s. They reside in Luanda, Paris, Philadelphia, Addis Ababa, New York and beyond. These artists portray Black bodies in acts of cultural mediation. They revive the traditional African rites of masking, costuming, quilting, body ornamentation and invocation of spirits. They refract those rituals through the lenses of contemporary art practices such as performative self portraiture, collage, montage and digital manipulation. 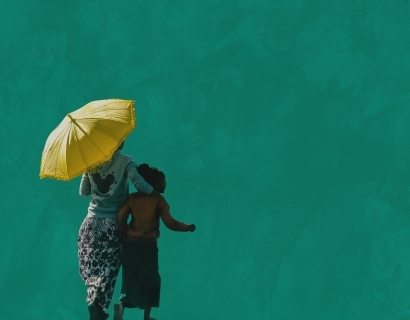 They merge cultures past and present, looking towards a more inclusive, harmonious future. Refraction is an ocular cleanse. 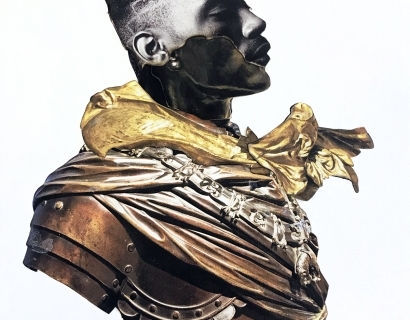 The work of these artists bridges the gap between Black stereotypes Black and Black reality. The photographs in the exhibition navigate the complex relationship between innate identities and identities evolved from social, political and cultural influences. On a technical level, these artists are heralds of new dimensions in photography, bending, transmuting and pushing the medium. Some artists in the exhibition record this world and some invent new ones with an eye to the conceptual, even fantastical. Their work blends fact and allegory, the real and the imagined, the present and the future. Their language is a mixed vocabulary of photography, sculpture and performance. Ranging from Afro-futurism to Afro-documentary, these photographs reclaim and re-connect a multitude of Black histories and identities. 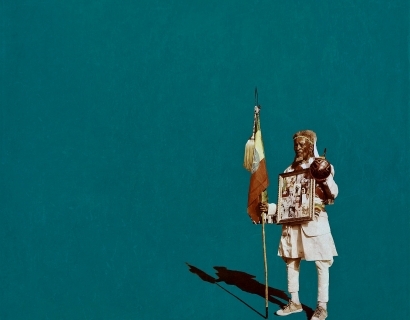 On one hand, there are the documentary styles of Girma Berta and Eyerusalem Adugna Jirenga, both under 30, who provide contemporary outlooks on the urban African environment. Hakeem Adewumi, Emilie Regnier and Zarita Zevallos make portraits that examine cross-cultural signifiers, such as leopard print, with a charged cinematic beauty. Shawn Theodore and Stan Squirewell employ digital and analog photomontage techniques drawing on personal experiences and family history to examine the fluctuating understanding of the self. Basil Kincaid and Keyezua stage performative scenarios with hand crafted quilts, masks and costumes to act out empowering contemporary rituals. 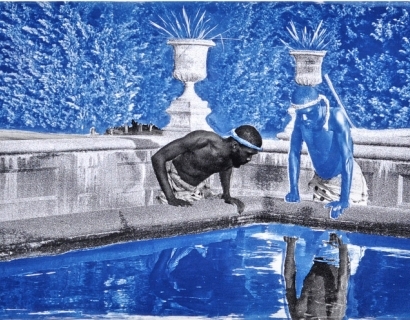 Adama Delphine Fawundu and Ivan Forde’s elaborate, dreamlike compositions use sewn collage and cyanotype to create modern representations of spiritual icons and ancient myths like Mami Wata and the Epic of Gilgamesh. 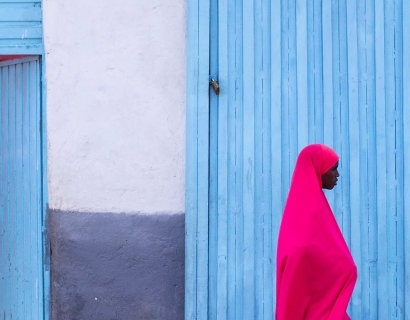 The exhibition is curated by Steven Kasher Gallery Director Cassandra Johnson and Niama Safia Sandy, Independent Curator and Cultural Anthropologist. In conjunction with the exhibition AIPAD Talks will host a panel discussion with Niama Safia Sandy, Curator, and Artists Nona Faustine, Adama Delphine Fawundu, and Shawn Theodore on Sunday, April 8th from 1:30-2:30pm. Tickets are available on a first-come, first-served basis and are only valid with same-day Show admission. Purchase your tickets today. Hyperallergic's Seph Rodney reviews Refraction: New Photography of Africa and Its Diaspora. 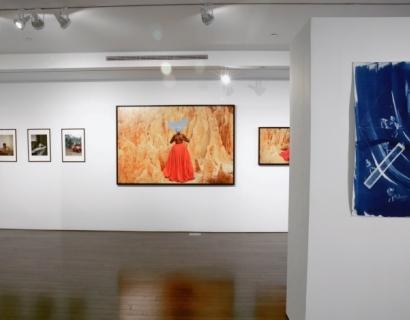 The group exhibition of 12 artists is on view at SKG through June 2. 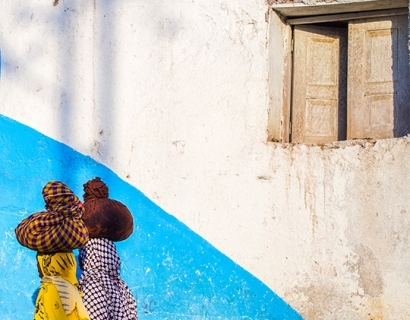 Lauren Sinner of Surface Design Association reviews SKG's current exhibition, Refraction: New Photography of Africa and It's Diaspora, open through June 2. Marie Claire Italia features SKG's current group exhibition, Refraction: New Photography of Africa and Its Diaspora. The show is on view through June 2 and features the work of 12 artists. 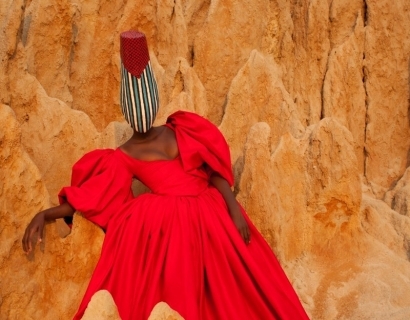 Marie Claire features Angolan-Dutch artist Keyezua in its list of creative worth celebrating this Africa Day. Keyezua's photographs are on view now at SKG through June 2 in our group exhibition, Refraction: New Photography of Africa and It Diaspora. Keyezua's Fortia series is featured in Dazed Magazine's list of "the only photos you need to see from the last month." Images from Fortia are on view at SKG through June 2. 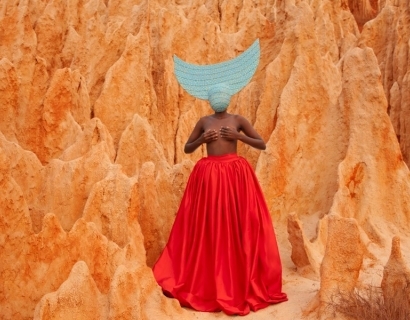 Artnet News includes Refraction: New Photography of Africa and Its Diaspora as one of this week's must-see art shows. Refraction is on view at SKG through June 2. Vogue Italia interviews Émilie Régnier on her photo series, Leopard. Work from this series is on view at SKG as part of Refraction: New Photography of Africa and Its Diaspora, open through June 2. OkayAfrica features SKG's current group exhibition, Refraction: New Photography of Africa and Its Diaspora as one of the must-see African Art events this May. The show will be on view through June 2. The London Financial Times features Nona Faustine and her project "White Shoes." Photographs from the series are on view at SKG through June 2 in our group exhibition, Refraction: New Photography of Africa and Its Diaspora. Ilana Jael reviews SKG's group exhibition, Refraction: New Photography of Africa and Its Diaspora, on view through June 2. Leica's S-Magazine features SKG's current group exhibition, Refraction: New Photography of Africa and Its Diaspora, open through June 2. L'Oeil de la Photographie features SKG's current group exhibition, Refraction: New Photography of Africa and Its Diaspora. 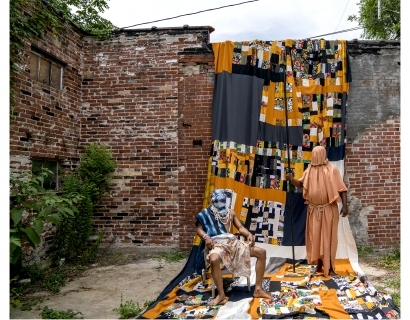 Refraction features 12 artists who are reviving the traditional African rites of masking, costuming, quilting, body ornamentation and invocation of spirits and will be on view through June 2. 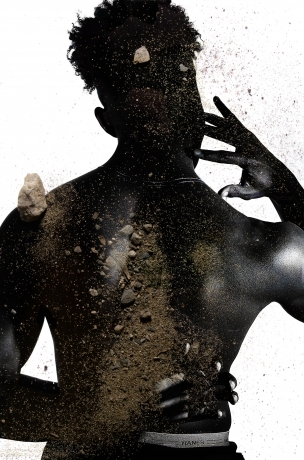 The New Yorker features SKG's upcoming exhibition, Refraction: New Photography of Africa and Its Diaspora in its art section with an image by Hakeem Adewumi. Refraction opens on April 19 and runs through June 2. 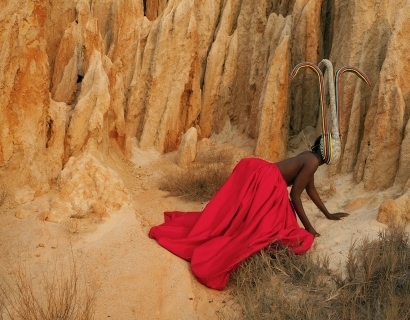 Miss Rosen of Dazed interviews Angolan artist Keyezua on her series, Fortia. Images from Fortia are now on view at Steven Kasher Gallery through June 2 in the group exhibition, Refraction: New Photography of Africa and Its Diaspora. Okayafrica. features SKG's group exhibition, Refraction: New Photography of Africa and Its Diaspora and discusses the complex link between black stereotypes and black reality. 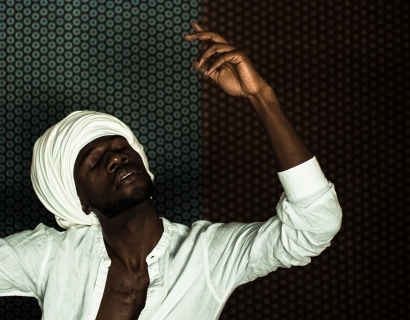 The Interrobang highlights SKG's upcoming group show, "Refraction: New Photography of Africa and Its Diaspora" on their list of the best events in NYC this week. Refraction opens on April 19 and will be on view through June 2.
artnet news features Nona Faustine as one of seven breakthrough artists at the 2018 Photography Show presented by AIPAD. Faustine's work, featured in SKG's booth at AIPAD, will be on view in the group exhibition, Refraction: New Photography of Africa and Its Diaspora at SKG April 19 to June 2. Pedro Silmon on the upcoming exhibition, Refraction: New Photography of Africa and its Diaspora, open at SKG April 19 through June 2.